In what’s beginning to sound like a broken record, there are new indications that further cement the belief that the country is still in financial trouble. In fact, the vast majority of Americans believe they’re still in a recession and even worse is the slew of news reports that affects young consumers and dampens their hopes for a rosy future. First up is the financial illiteracy of those in their twenties and even their thirties. Many have no idea how much their total debt is, even as the average national debt in this age bracket is $45,000. While some of it is mortgage debt, the majority of it is student loans and credit card debt. Credit cards have become the trouble spot for many who can’t understand why their balance continues to grow, even though they’re making minimum payments each month. The unemployment rate for Americans between 18 and 29 is an alarming 12.4%. Keep in mind the national average continues to hover around 8.2%-8.5%. This also means fewer folks are working on their retirement accounts. There’s simply no way to put that foundation in place the way previous generations have been able to do. The second trend has to do with student loan debt and the fact that a college degree doesn’t necessarily equate to a job after graduation, as evidenced by the high unemployment rate. Part of the American dream, after all, is to secure an education, land a dream job, buy a house and start a family. These days, college graduates are coming to realize it’s simply an unrealistic goal – at least for now. Their degrees simply aren’t giving them an edge. There has been a devastating cost to a lack of attention, urgency and seriousness of taking this on. Between the housing crisis, a lack of savings, a non-existent retirement plan and higher student loan debt and credit card debt, it would appear this generation faces difficulties never before seen. The Treasury Department, along with the Department of Education, tests high school students each year with a goal of gauging their financial literacy. In 2010, the average score was 70 out of 100. In 2011, it dropped to 69 out of 100. So what’s the missing element? An even tougher question is how to turn the tide. Many say education in the junior and senior high school levels could play a significant role in better preparing young people. The fact that so many in their twenties have no idea what their total debt is only reiterates this belief that education must start sooner. If one doesn’t know his total debt, he’s not likely to understand other important elements, such as how interest is calculated and how to rein in spending. Unfortunately, most states don’t require any economics or financial literacy classes for graduating high school students. This really sets the stage for future financial problems, including bankruptcy and low credit scores. If twenty-somethings aren’t up to the task to handle their finances, there’s a good chance they won’t have gained the tools that would allow them to instill better spending habits in their kids once they start their families. Frankly, many say it’s not that they don’t understand financial literacy, they simply anticipated landing a job in their chosen careers after graduating college and wasn’t counting on facing credit problems coming out of the gate. No one could have anticipated all these elements coming together to create a disturbing picture. Regardless, there exists a potential for a “trickle down effect”. A bad credit rating can prevent young adults from getting a job and if they began their financial lives with credit cards during college, there’s a chance they might even drop out of college in order to get a job right away. Many think they can simply close their credit card accounts so that temptation isn’t so great. What they don’t know, however, is by doing so, they can harm the credit scores they’re trying to protect. They’re learning these truths the hard way. Many young people are either not moving out at all after graduation or are moving back in with Mom and Dad. And there’s no light at the end of the tunnel – not yet anyway. College graduates with student loans and credit card balances are learning they have no other options. They can’t afford the expenses of having their own home or even renting an apartment – even those who have landed a job. There has been progress made on better preparing young people for all things financial. Several non profit organizations have a focus on financial literacy and are doing their part to reverse the national trend. One agency is Jumpstart Coalition. It targets children as early as pre-kindergarten. 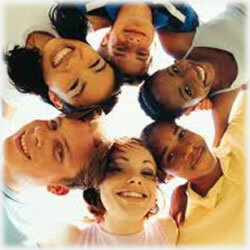 The Treasury Department has resources available for parents and young adults as does the U.S. Department of Education. Another resource, the Council for Economic Education works with students in kindergarten through high school.